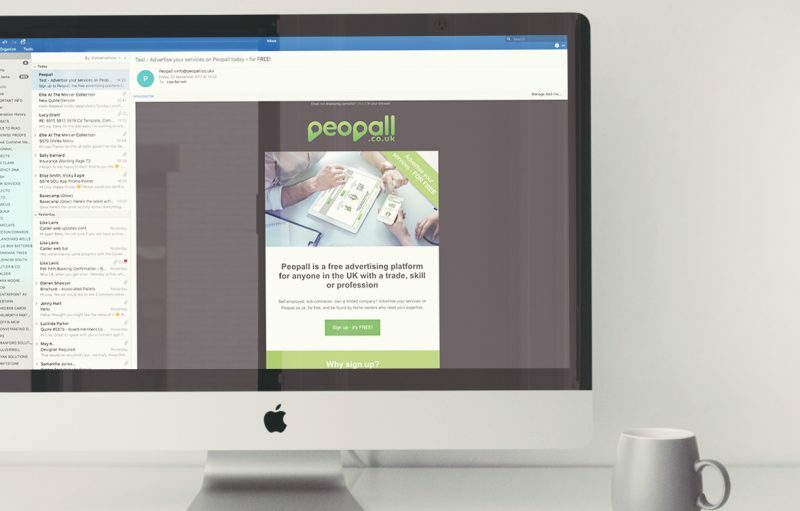 #InTheStudioThisWeek, Glow has created a new e-shot for our client, Peopall. If you haven’t heard of them yet, you should go and check out www.peopall.co.uk, it’s an exciting brand and we expect big things from these guys. Only set up at the beginning of this year, they’re currently targeting skilled professionals and tradespeople, encouraging them to sign up to their site, for free, to advertise their skills and services to members of the public. We love the story behind the company too; one of the owners was desperately searching for an emergency plumber one weekend, calling everyone and anyone he could find online, but everyone he rang was busy. He decided he needed a website that allowed tradespeople to show their availability, and TA DA, that’s how Peopall was born! The beauty of Peopall is that tradespeople can use the calendar function to show their availability, making it easier for consumers to identify who’s available at the time they need them, saving time and hassle by cutting down on unnecessary calls. So if you do need the help of a professional this weekend, check them out!